Would the Elimination of the Mortgage Interest Deduction Hurt the Housing Market? I was reading the news this morning and came upon an article titled, “Commission Offers Controversial Solutions to Axe Deficit — Members Balk” on the FoxNews website. The “Deficit Commission” appointed by President Obama is working on a plan to reduce the nation’s deficit. One of the commission’s suggestions is to eliminate the Mortgage Interest Tax Deduction in favor of a lower tax rate for all. Personally, I think this plan will have a huge negative impact on the housing market and our economy in general. Let’s look at a $250k, 5 percent mortgage. 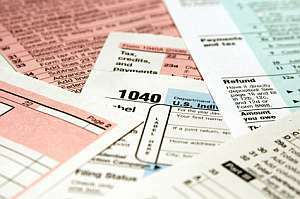 The homeowner pays $12,500 in interest per year and likely itemizes deductions of about $18k. If we remove the Mortgage Interest Tax Deduction, the same homeowner now uses the standard deduction and pays taxes on an additional $7500. If the homeowner is in the 25 percent tax bracket, the loss of the deduction adds $1875 to their tax bill. It gets worse with larger mortgages and higher tax brackets. Basically, they would eliminate the Mortgage Interest Tax Deduction and lower the tax rates across the board at the same time. It appears that this plan will “spread the wealth” increasing taxes on homeowners and reducing taxes for all. With so many homeowners in distress, they simply cannot absorb any increases in costs and stay in their homes. Combine this idea with the various new taxes beginning in 2011 along with rapidly increasing energy/food costs and we have all the right conditions for another economic collapse. As a nation, we have to focus on reducing costs and creating jobs in order to get out of this mess. Taxing the middle class will only make it worse.